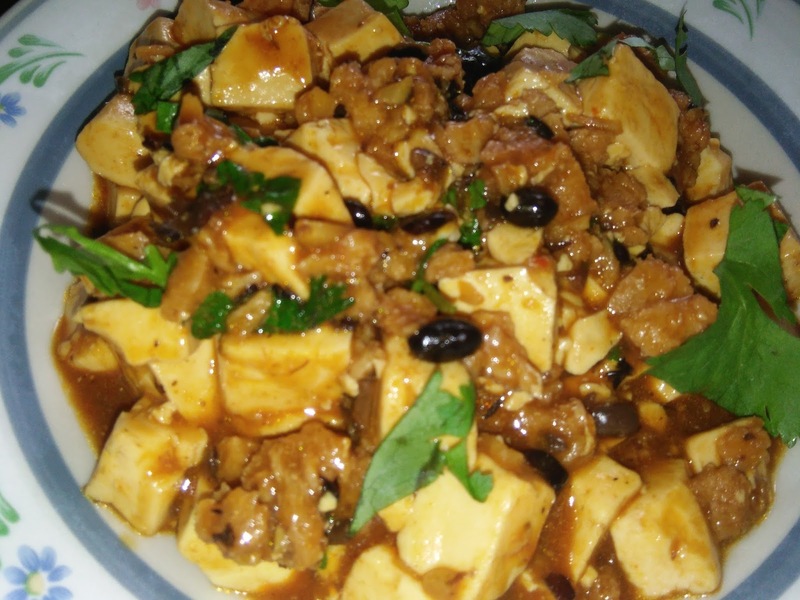 When we come across the word 'Ma Po', automatically we relate it to Chinese cuisine. 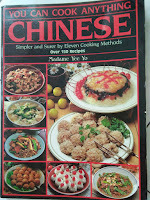 Indeed it is and according to the Chef of this cookbook, there is a story behind the word. 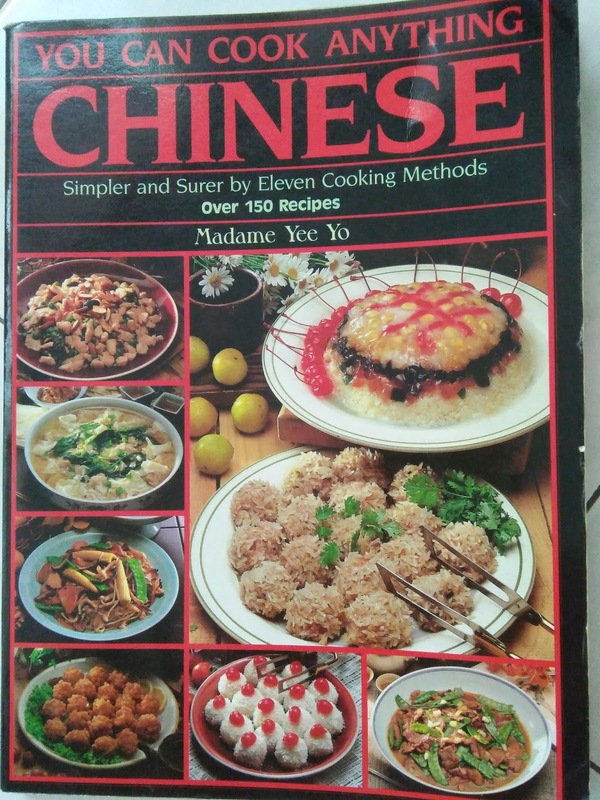 Chef Yee Yo wrote that Ma Po, is the pockmarked Grandma who invented this dish in the 1860s. She creatively transformed the bland bean curd into a powerfully spicy dish. 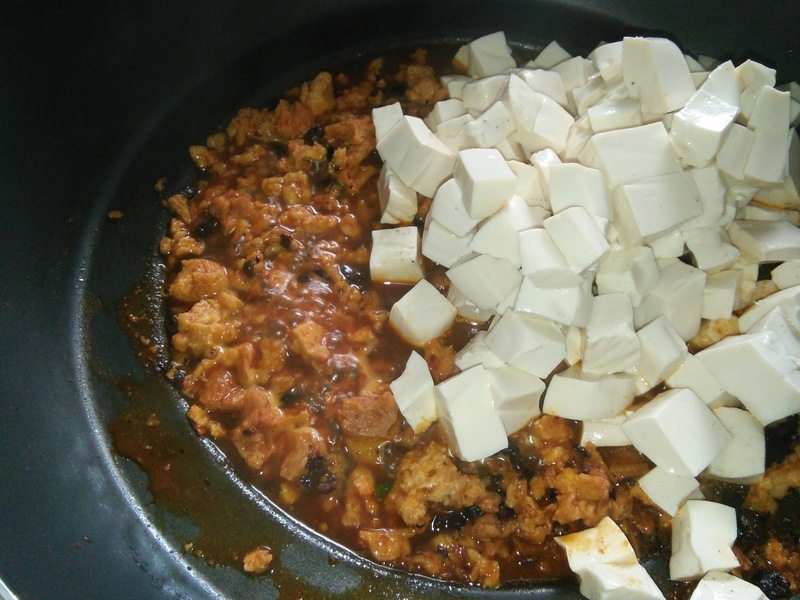 The family owns a food shop 'Chen's Ma Po Bean Curd Shop' in Chengdu, the capital of Sichuan province. Apart from Ma Po Tofu, the shop serves many other bean curd and non bean curd dishes. It manufactures fresh bean curd daily. 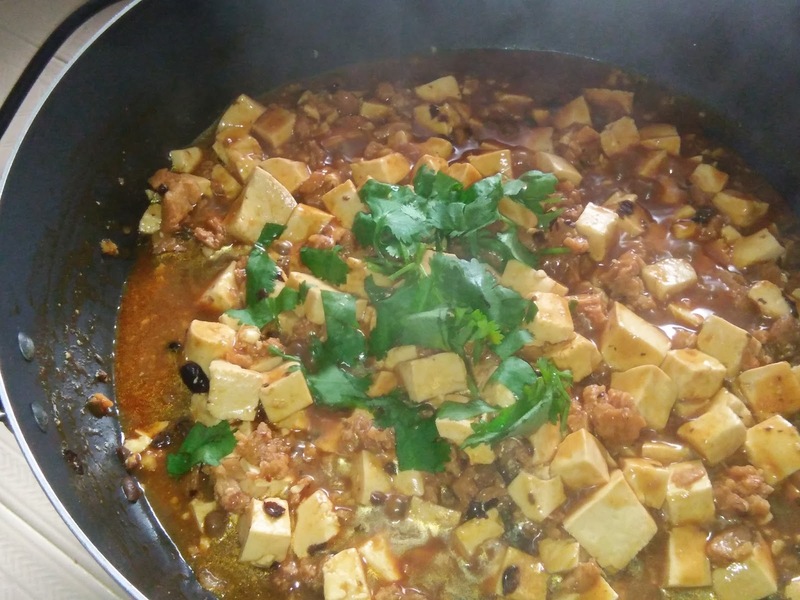 The ingredients in this recipe are essentially the same as those used by Ma Po more than a 100 years ago. 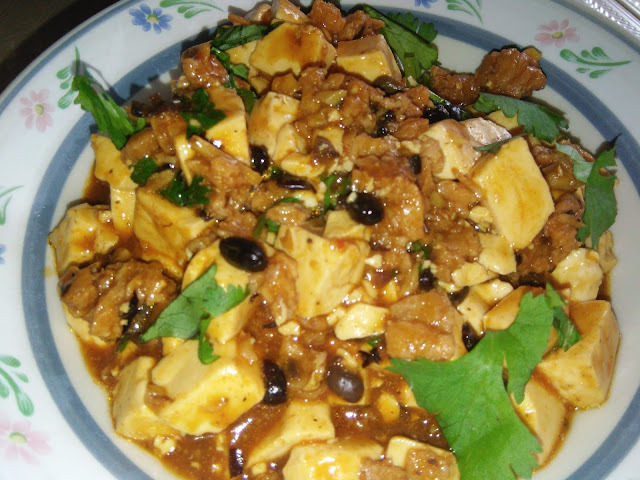 A tasty vegetarian Ma Po Tofu dish which is not that spicy as you expect of a Sichuan dish. 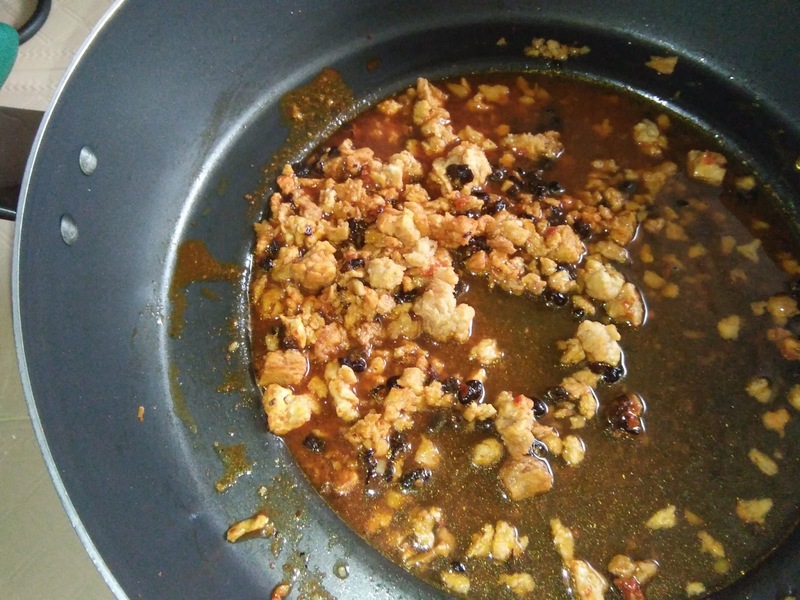 It is quite mild in taste and not as oily like in most Sichuan cuisine. 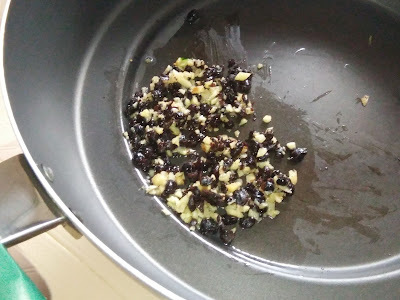 Heat oil in a non-stick wok, saute ginger until aromatic, add in black beans, soybean paster and chilli boh. Stir to fry until fragrant, add in the dried glutton. Stir after addition. 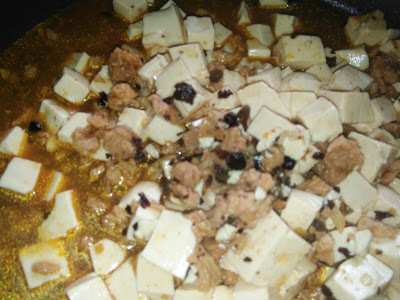 Add in seasoning sauce and water. Bring to boil, then add in the tofu cubes. Simmer for 5-10 minutes until the flavours are well infused. Thicken with cornstarch mix, bring to boil. 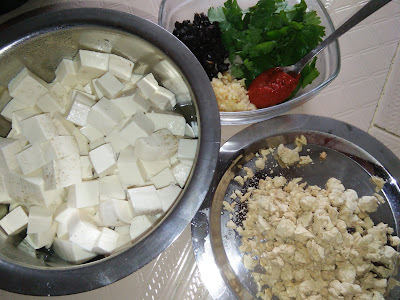 Dish up and garnish with Chinese celery or coriander leaves. Serve hot. 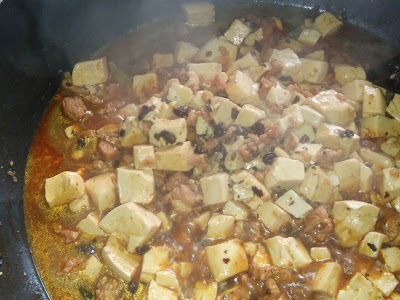 Kimmy, I can eat this with lots of rice, though I am not supposed to. LOL! 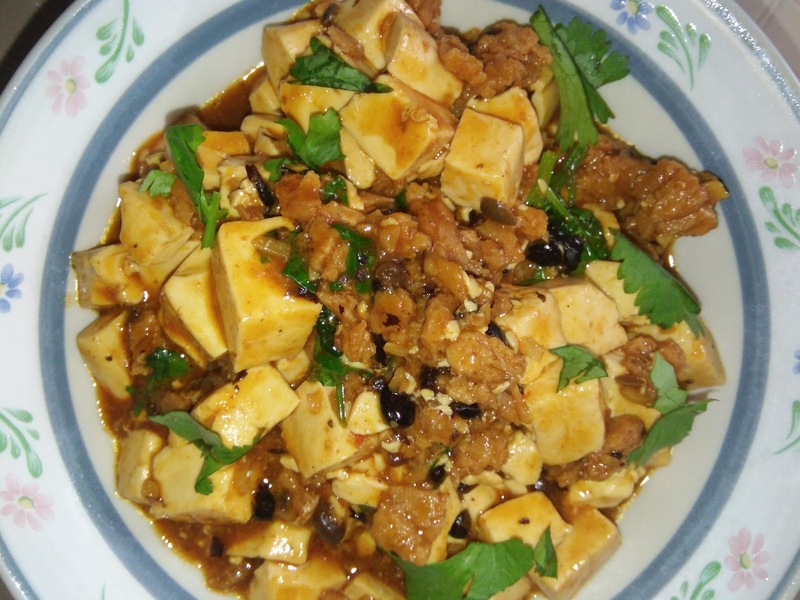 Hi Phong Hong, you can enjoy this dish with less rice. 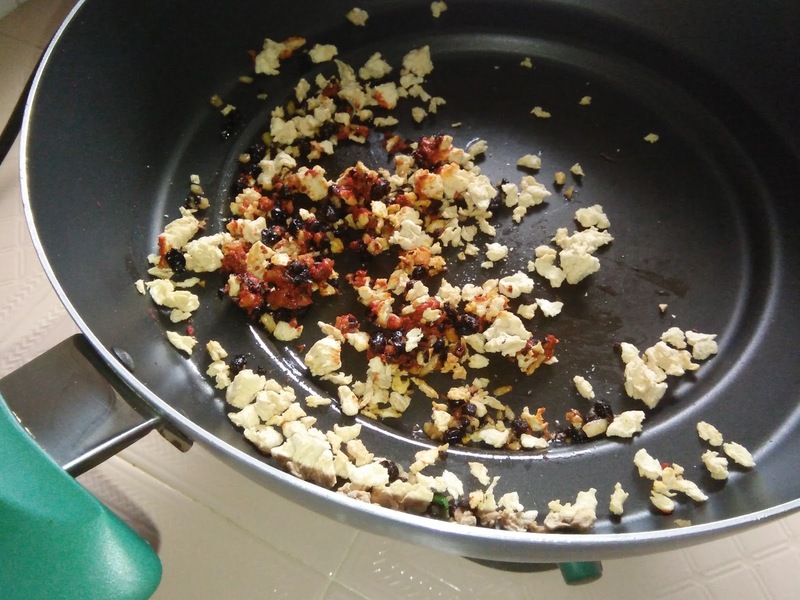 It is not too savoury. I have seen many versions of Ma Po Tofu, some with meat, and vegetarian too. I am going to try one from a cookbook too!